Who wants to wear blue jeans on a hot summer day? 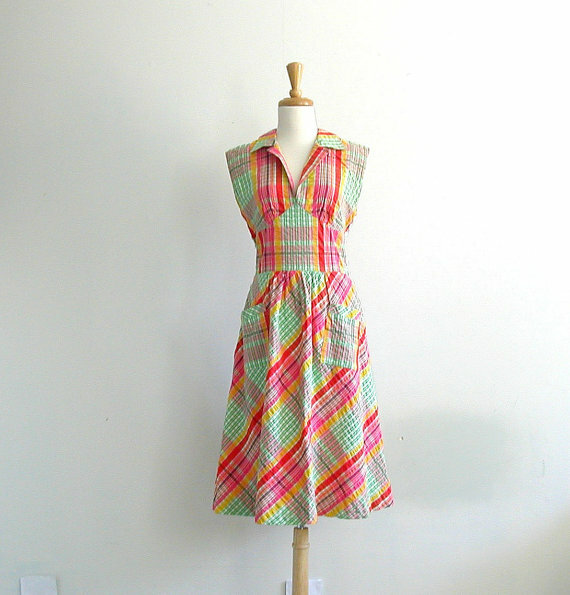 Give me bright colors and breathable material for a fun summer dress. All of these dresses are from Etsy sellers in the USA with 98% or higher satisfaction rating and less than $100. The only problem is which one to select for your closet. Rouge Girl Vintage offers this 1970s, bright summer dress. Some dresses never go out of style. Chevron is all the craze right now. With this subtle print, summer dress from Lemniscate Addict, you will be able to wear it for summers to come. I don't know what it is about this dress from Cut+Paste that makes me want to slip on some flip flops and go shopping. 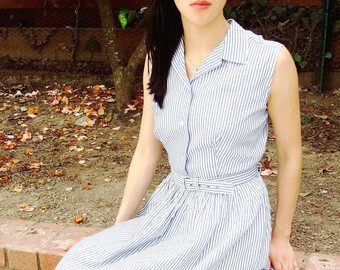 This dress from Vintage Turtle begs to be taken on a picnic. The style is timeless, and perfect for a summer soiree. Hello sunshine! You have to be a brave person to pull off a neon yellow dress. Why not? It is summer after all. Stand out with this dress from Kimberly Noland. 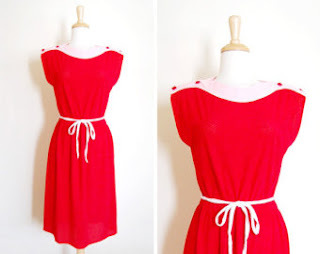 Adding one of these beautiful dresses to your summer attire won't break the bank. Do you have a favorite summer dress that you go back to every year?